We all have trials we deal with. Mine in life is anxiety. I've had trouble with it ever since I could remember that I'm not even really sure where or how it started. There have been seasons in my life when it has been harder to deal with than others. Becoming a mother has definitely made it harder to contend with. 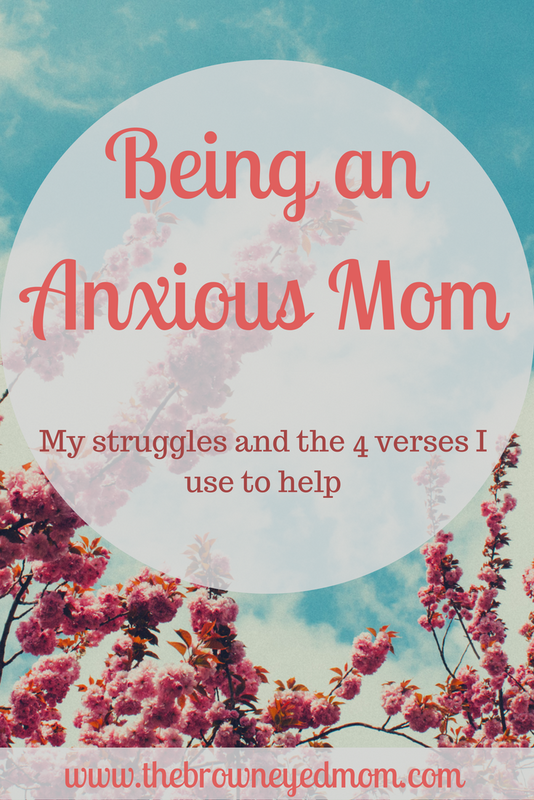 I'm always transparent on my blog because I want to share my struggles with you. So that if you are dealing with what I am dealing with as well, maybe it can help you. So for the last year and a half, my anxiety has been amplified since the birth of my second child. But I still have times when I struggle. Lately has been one of those times. After over 30 years of life, I still don't always understand what triggers it. Sometimes, it's the smallest things that if people knew would think it's stupid. But it's very real to me in the moment. Some days, nothing seems to bother me. Others, the tiniest happenings in my day send me on a path of anxiety that will explode in myself if I don't catch it quickly. I repeat Philippians 4:6 and pray for strength and understanding. Prayer for peace and calming of myself. I have to be intentional in my prayer life. Praying continually helps keep it at bay (see my last post about praying continually! ), but if I get too wrapped up in my day things can go south fairly quickly. Staying in a constant prayer has to be a priority of my day. 1 Peter 5:7 tells us "Cast all your anxiety on Him because he cares for you" (NIV). There are times that I do put all my anxieties on Him and I still deal with it. Sometimes it's probably me thinking I've given it all to Him to deal with and I really haven't. Other times, I think He allows me to struggle with it some to teach me things I need to learn about myself, my anxiety, and my faith and trust in Him. I bought this Eccolo leather bound journal a while back because I liked it, but I wasn't sure what I was going to do with it at first. I thought maybe using it for sermon notes when my current journal ran out of space, but I felt like it would serve a better purpose for my prayer life. In my last post, I shared with you that I use the Post-it method to help me memorize verses. But after writing it, I got to thinking. What happens to my Post-it after I've finished with memorizing that verse? I would stick them in the back of my Happy Planner and my 4 year old turned a few of them into "maps". Goodness. So I found the journal would be the perfect place for me to take the verses I have memorized and put them all in one place (with the hopes tiny hands don't get a hold of it to draw in!). Then, when I'm struggling I can use it as a reference with my bible to help keep my focus on Him. Here are a few of my favorite verses to help me when I am feeling anxious and I hope that they can help you too! What are your favorite verses to help you in times of anxiety? Share this with someone you think may need a bit of encouragement in their battle with anxiety!